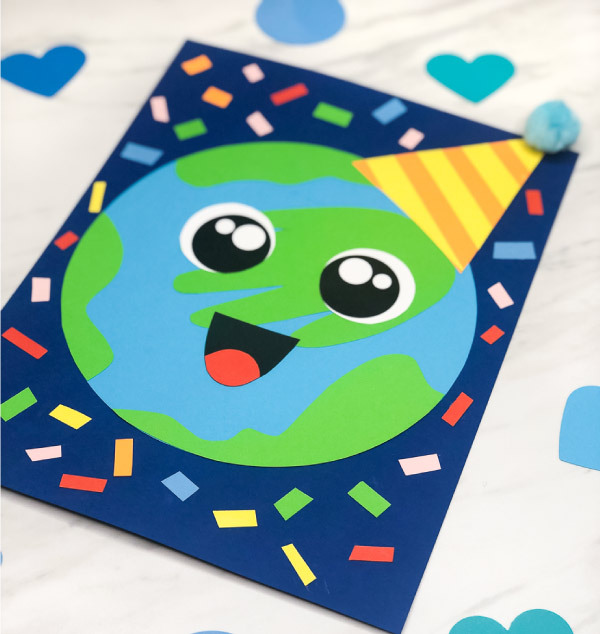 Inside: Celebrate Earth Day with this cute and simple handprint Earth craft for kids. 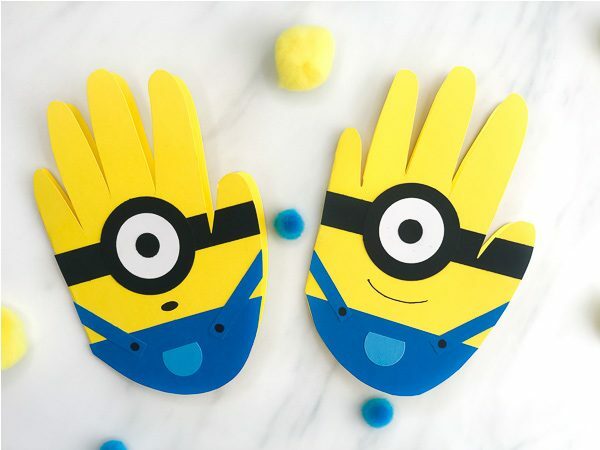 It’s the newest addition to our 101+ easy kids crafts post. We’ve all know about it, but how many of us actually celebrate it? I have to be honest, if it weren’t for my kids being in school, I wouldn’t even know when it is. 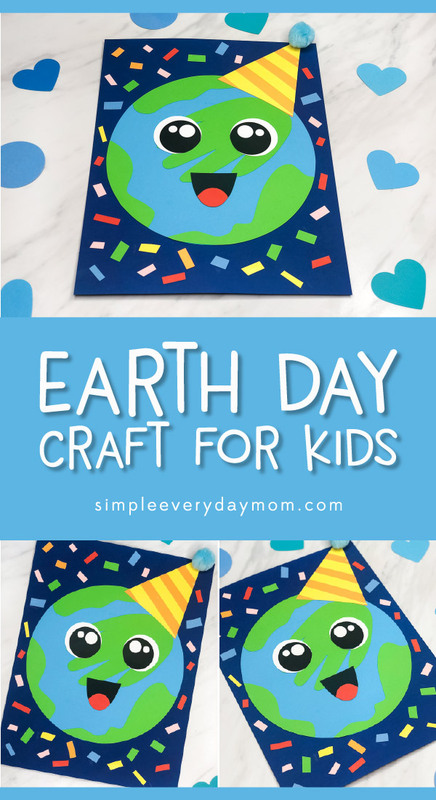 But with two kids in school this year, I’ve decided to jump in and share my very first Earth Day craft for kids! 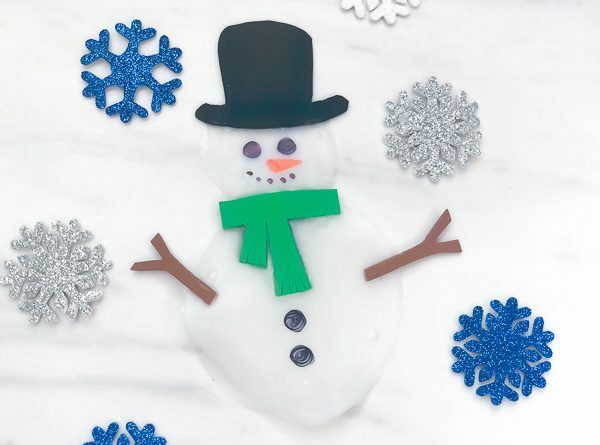 This easy Earth craft features your child’s handprint and is so festive and fun! Read on below to see how to make this with your kids or students this year. Download the Earth craft template. There are two templates; one is for single use. You’ll print all the pieces on one sheet of white card stock, trace onto the corresponding colored card stock and cut out again. 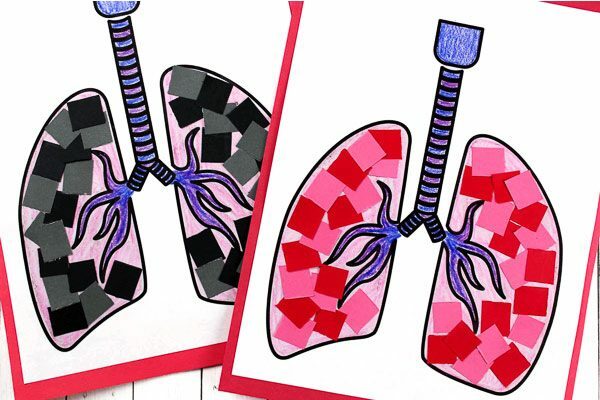 If you’re using this with multiple kids or students, you can print the second template which has multiple copies on each page divided by the colored card stock you print it on. Print either template the cut out all the pieces. Trace your child’s handprint on the green card stock. Glue your child’s handprint near the middle of the blue Earth, then glue the other green land masses around the circle. Create the Earth’s mouth by gluing the red paper to the bottom of the black mouth. Trim off any of the excess red card stock. Glue the eyes and the mouth onto the Earth. 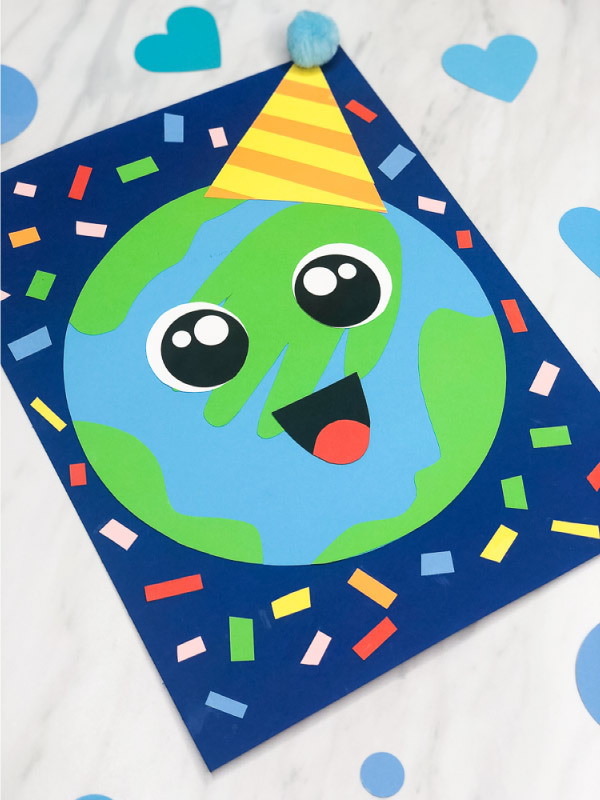 Make the Earth’s party hat by cutting out thin strips of paper and gluing them onto the hat base on a diagonal. Use a glue dot to secure the large pom pom to the top of the hat. Glue the hat to the top of the Earth, then glue the entire thing to a piece of dark blue card stock. To make it even more festive, cut small pieces of confetti from multi colored paper and glue them all along the dark blue background. If you want to make this craft shorter, you can always skip the background and confetti. 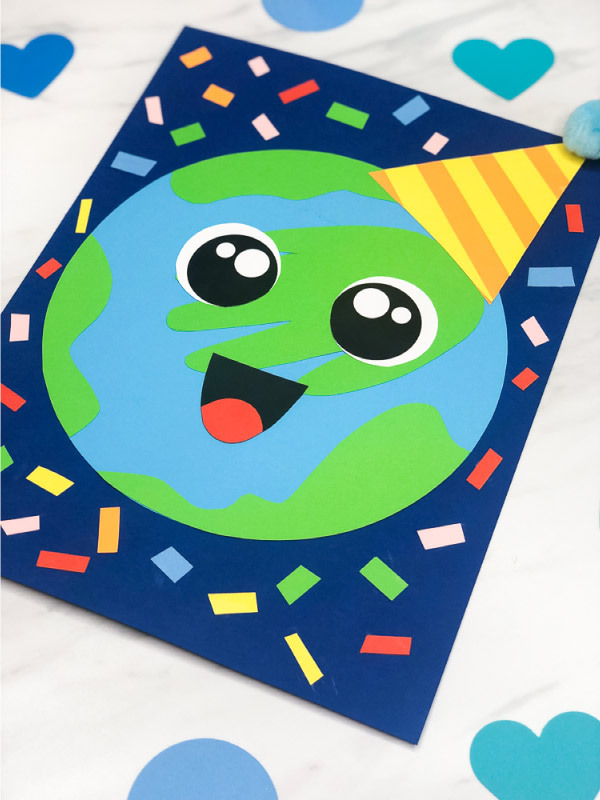 I seriously love how happy and festive this little Earth craft turned out and my kids loved the party aspect of it. Don’t forget to download the free Earth template by entering your email in the form at the bottom of the page.